Carlos Montes de Oca is a self-taught artist. He has taken part in important events such as the Vigo Contemporary Art Fair (JFEVI Exhibition Site, Vigo, Spain, 2010); the 5th Caribbean Biennial (Santo Domingo Museum of Modern Art, Dominican Republic, 2003); the 3rd Contemporary Cuban Art Exhibition (Fototeca de Cuba, Havana, 2001); and the 7th Cuenca International Biennial (Modern Art Museum, Cuenca, Ecuador, 2001). Some of his most notable solo exhibitions include Deconstrucción del Horizonte (Deconstruction of the Horizon) at Factoría Habana Gallery in Havana, 2015; Shared Space at Couturier Gallery in Los Angeles, California, 2010; Moor at the San Pancho Cultural Center in Nayarit, Mexico, 2009; ZEN Sentido (ZEN Sense) at La Casona Gallery in Havana, 2007; 15/8/68/9/4/05, Diary at Villa Manuela Gallery in Havana, 2005; El rito de la persistencia (The Rite of Persistence) at the Wifredo Lam Center for Contemporary Art in Havana, 2005; and Para andar en aguas oscuras (To Walk On Dark Waters) at Habana Gallery in Havana, 2001. 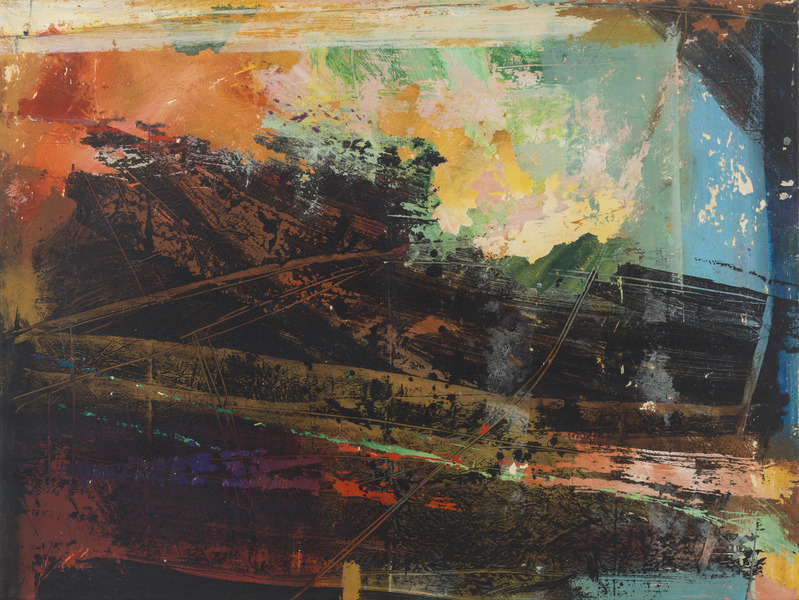 His works are part of the collections of the Arizona State University Art Museum in Tempe, Arizona; the Museum of Finest Cuban Arts (MOFCA) in Vienna, Austria; Nina Menocal Gallery in Mexico; and the Darrel Couturier Gallery in Los Angeles, California, among other institutions and private collections. Instantánea (Snapshot), 2014. Acrylic on canvas, 39 3/8 x 51 1/8 in.